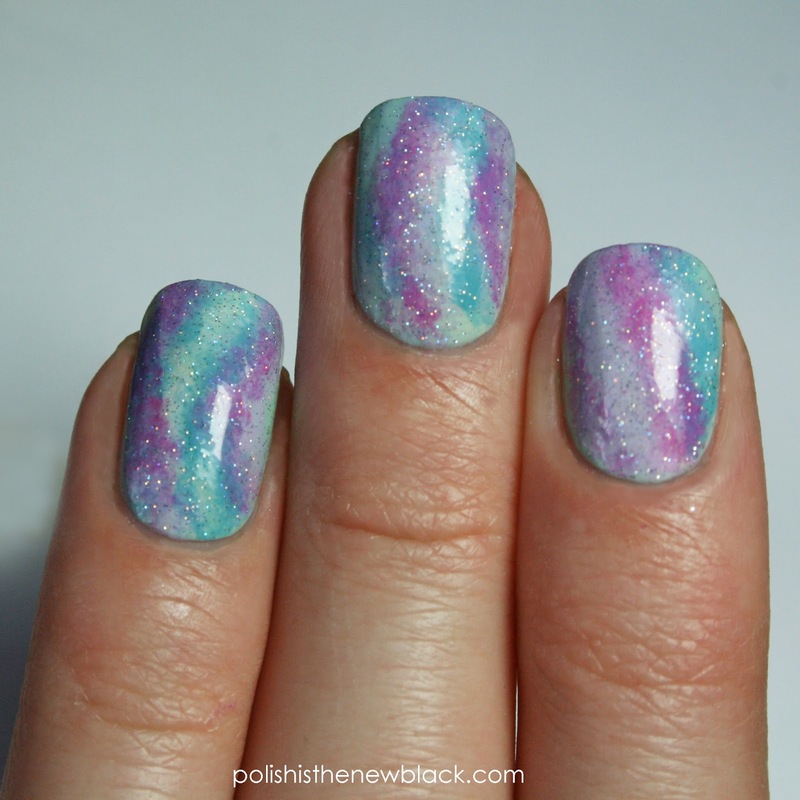 I'm back today with some more nail art. 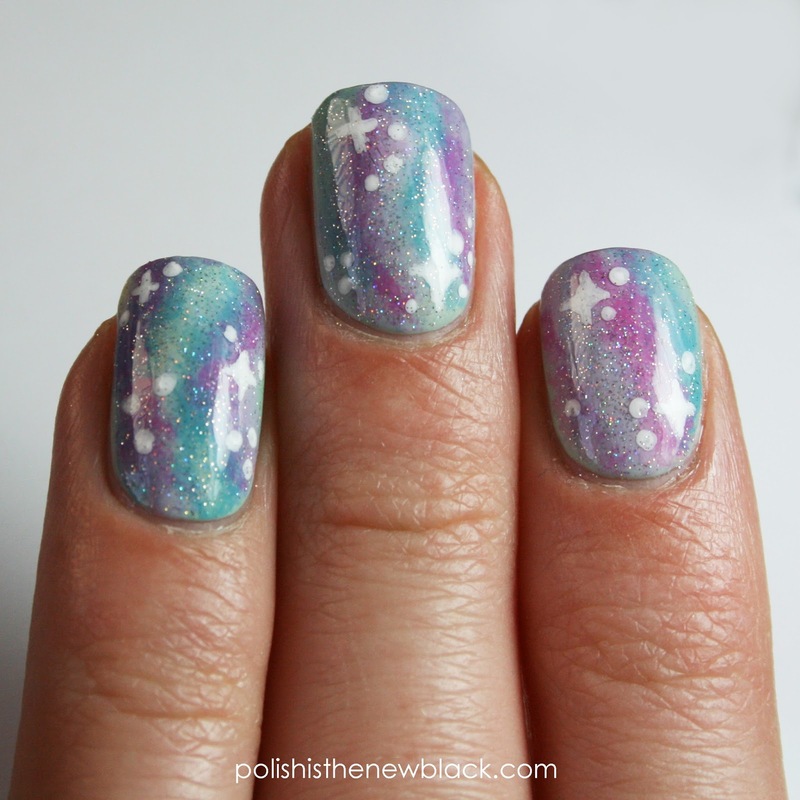 I LOVE galaxy nail art and I am really pleased with how these turned out! Now, if you follow me on Instagram, you'll have seen that these are a recreation of the very first nail art I posted on my account. I was so proud of these at the time... I mean they aren't too bad but I would like to think that I have improved a lot since then... picture quality, clean up, cuticle care, nail art quality. I really love doing then and now type posts and seeing improvement - I'm really pleased with these! 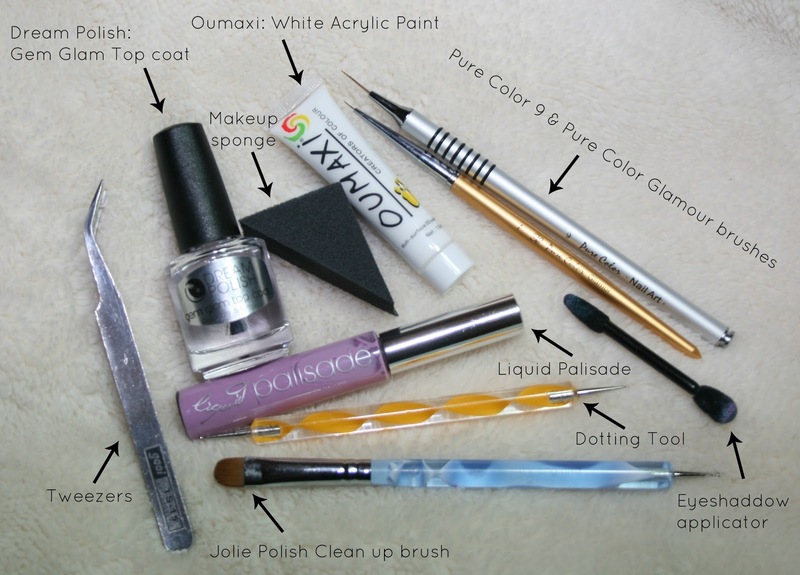 Other tools used during this mani, again labelled above. I started with a base of +Essie UK 'Fashion Playground' as seen above. 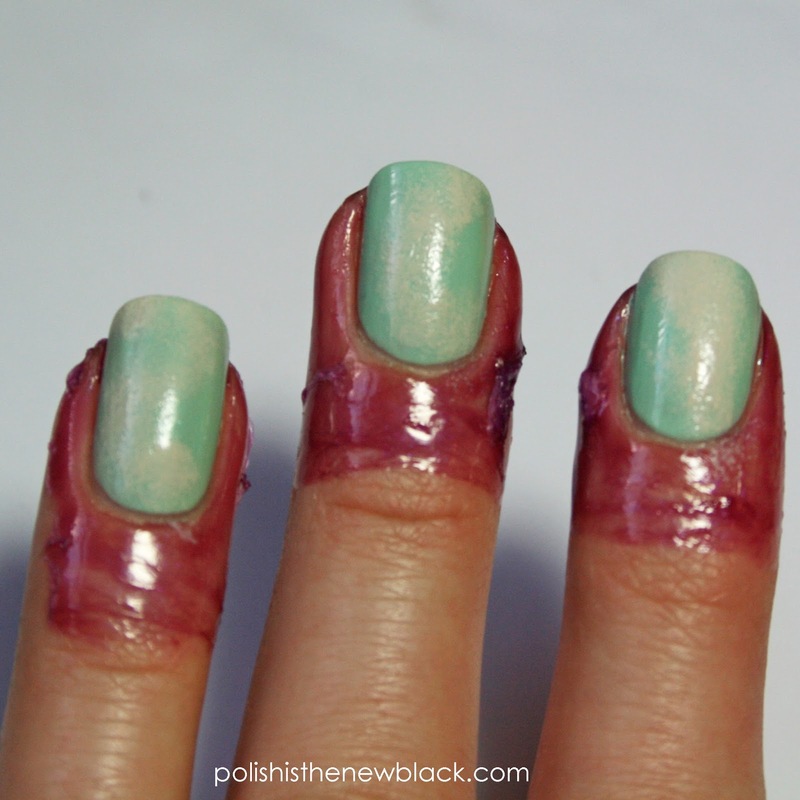 Then I applied 'Liquid Palisade' a liquid tape around my nails (for easy cleanup) as pictured above. I then sponged +OPI Products 'My Vampire is Buff' in various curved 'C' and 'S' shapes. Following the same lines as in the previous photo. 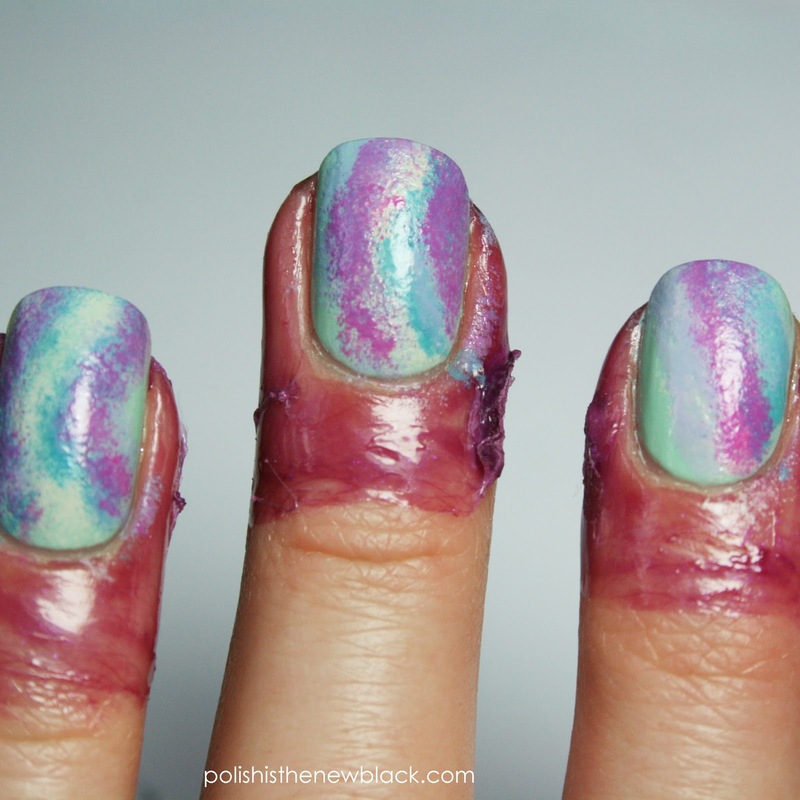 I First sponged +OPI Products 'Can't Find my Czechbook' and then +Essie UK 'Lilacism'. I used an eye shadow applicator for this for more control. 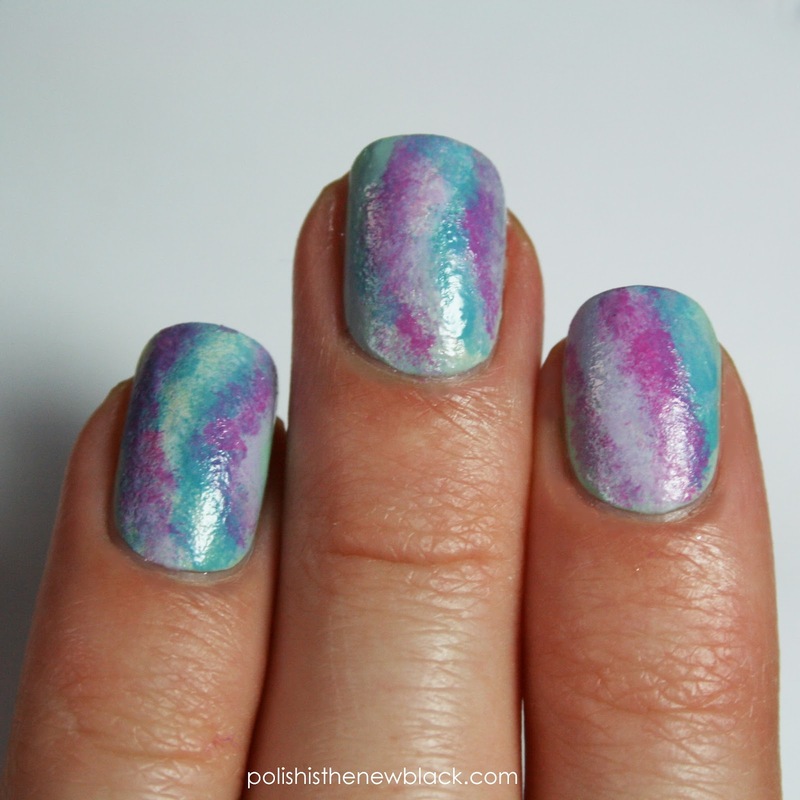 I then sponged +Essie UK 'Madison Ave-hue' again following the same curves using the eye shadow applicator. I sponged some extra polish in areas where I felt it was needed and then removed the +Kiesque, Inc. 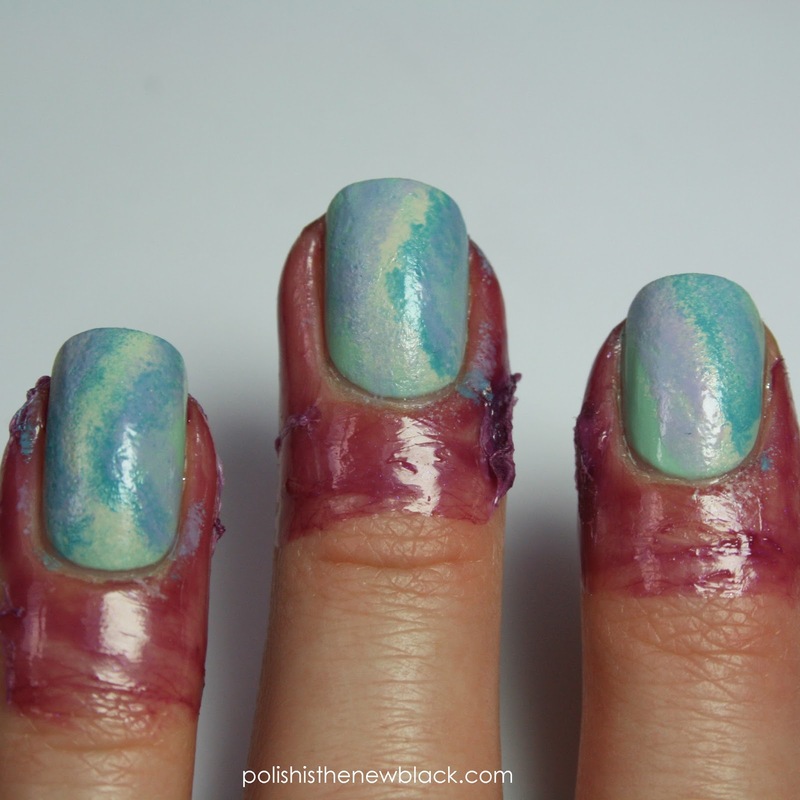 Liquid Palisade from around my nails. 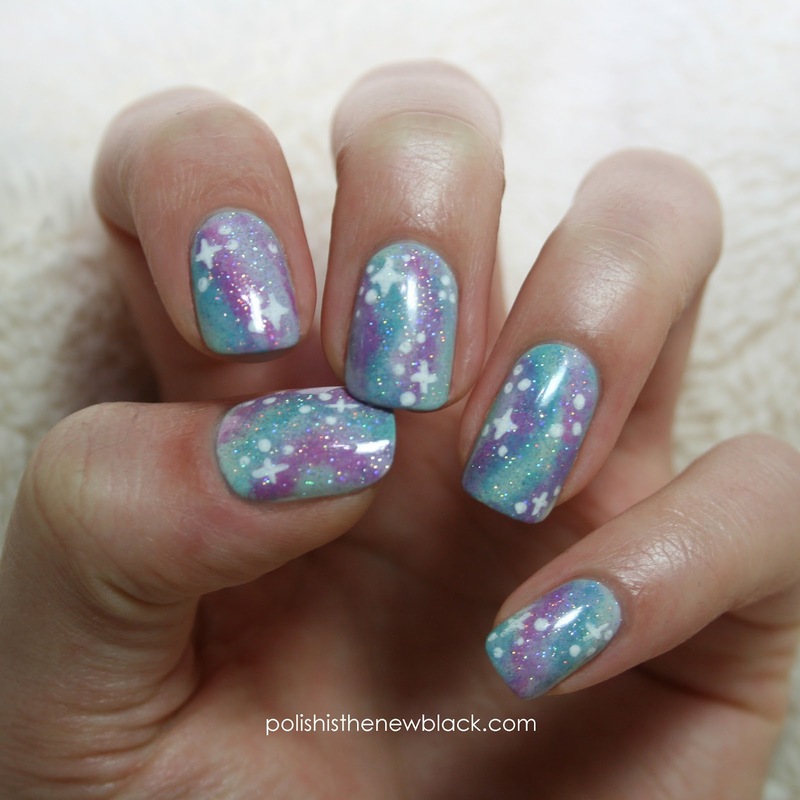 I applied +chinaglazeofficial 'Fairy Dust' over the top. 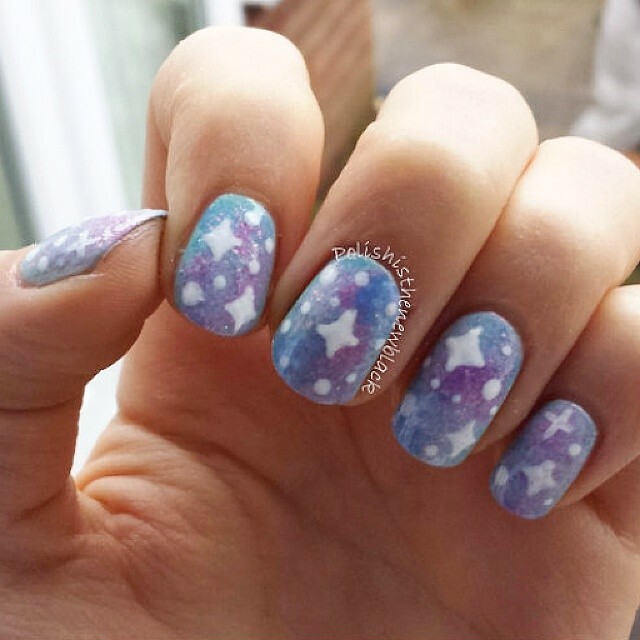 Finally, I pained the stars using white acrylic paint and a thin paint brush and a dotting tool. Hope you guys liked these! Ahh! 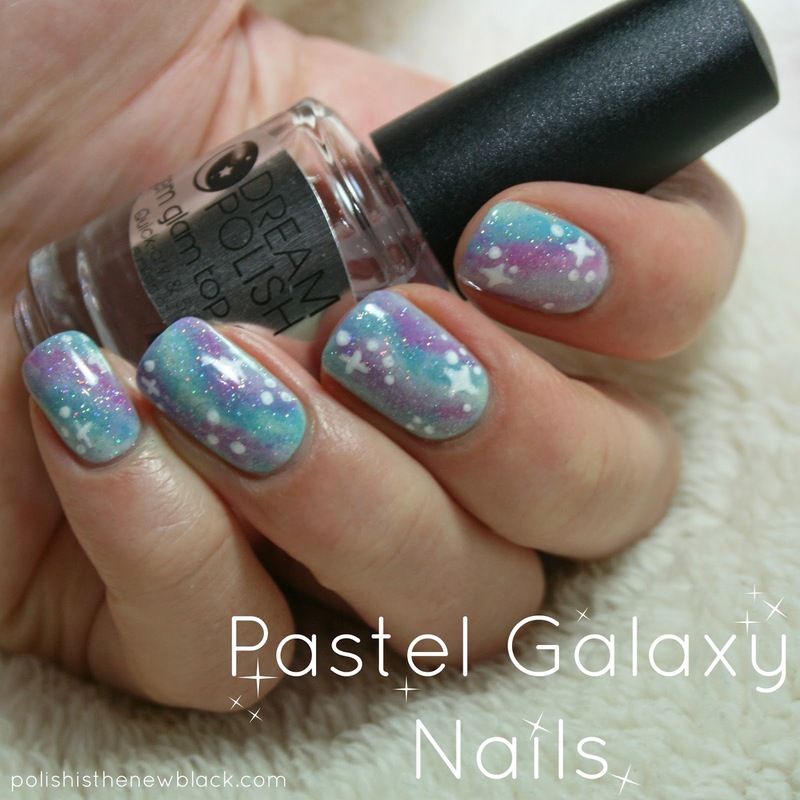 I love this pastel galaxy design!! So sparkly :D I can definitely see the improvements from the previous design, but both are sooo beautiful! !